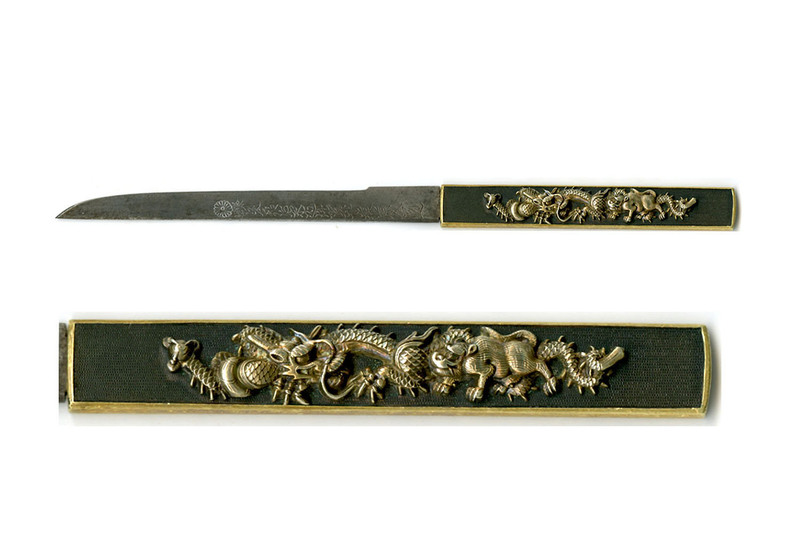 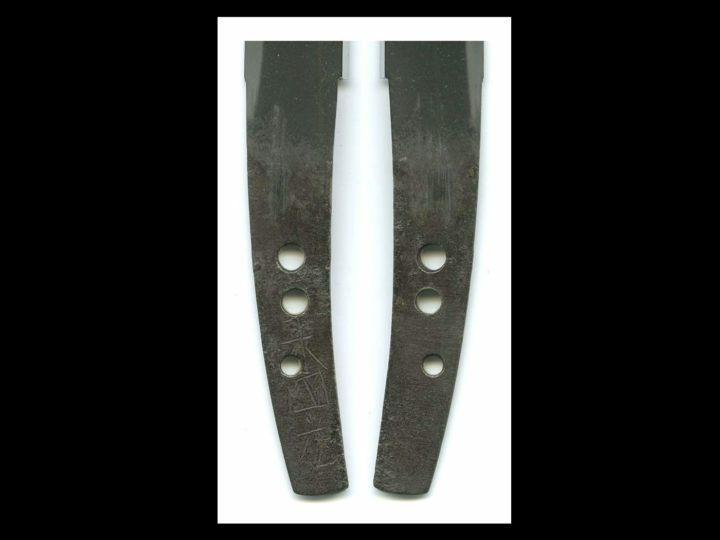 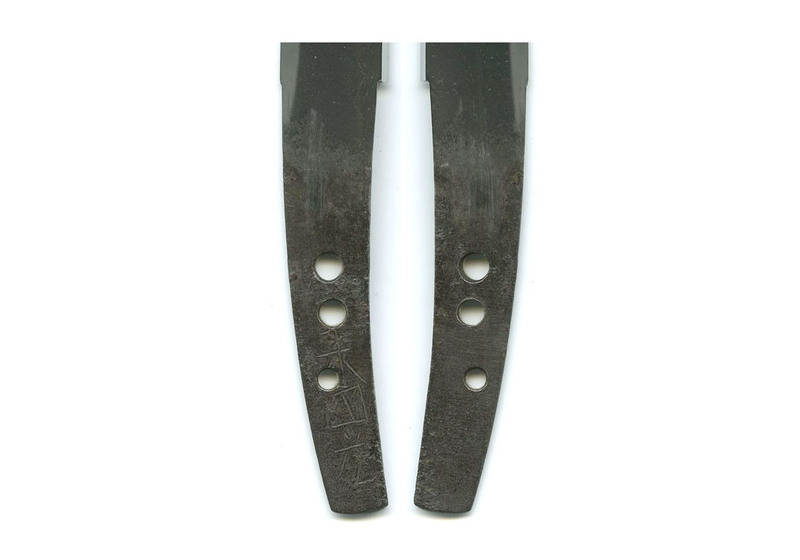 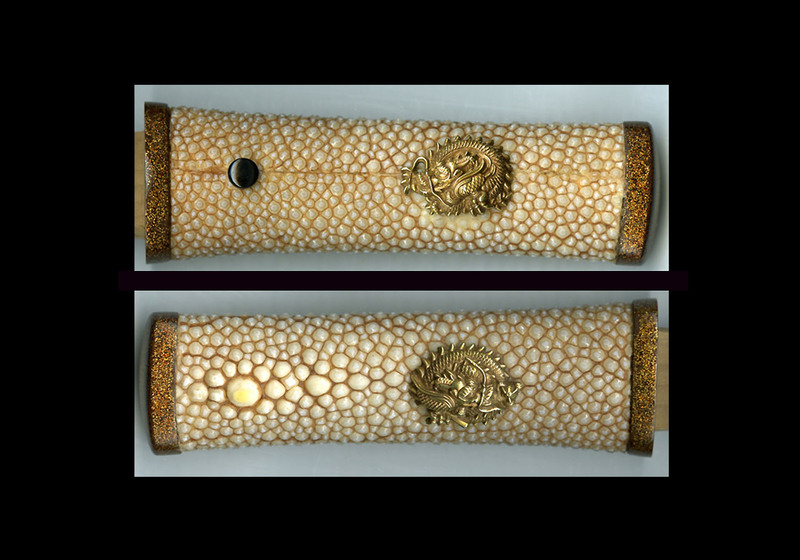 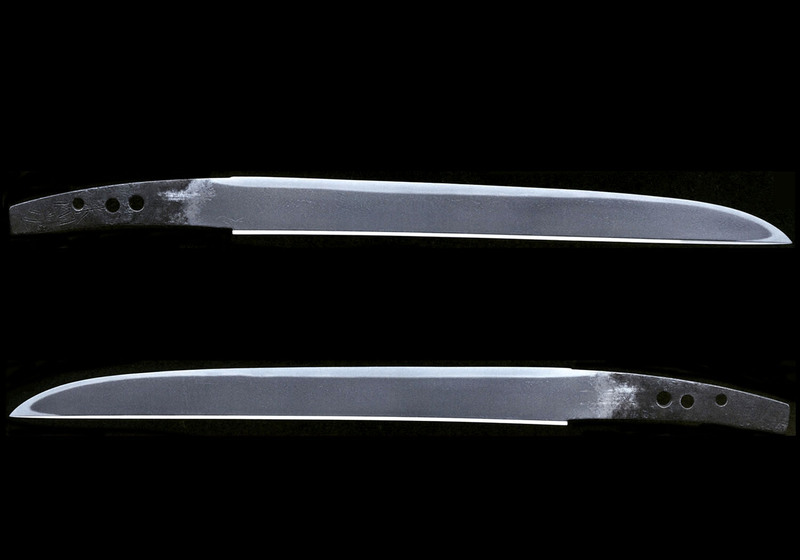 It has a hira-zukuri construction, and the length is seven sun and four bu, which, for Rai Kunimitsu (来国光), is a small-sized blade. 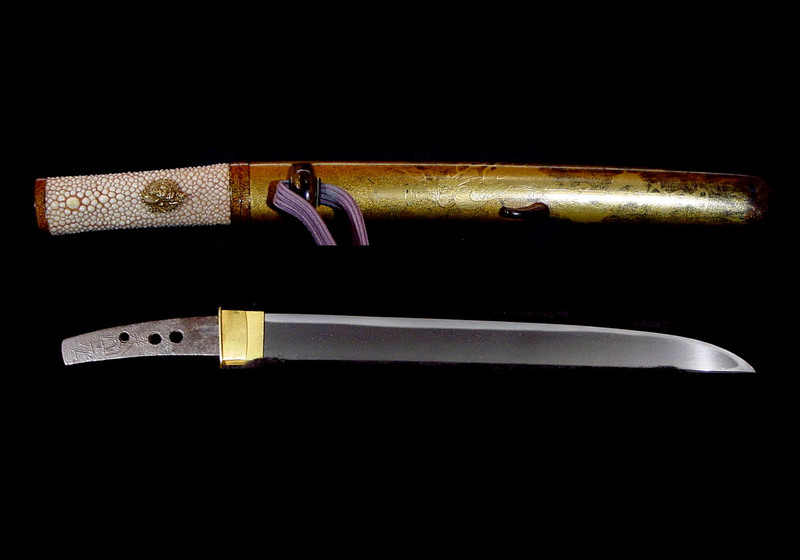 Moreover, because the sword is without curvature, we can surmise that this is an early period work of this same smith. 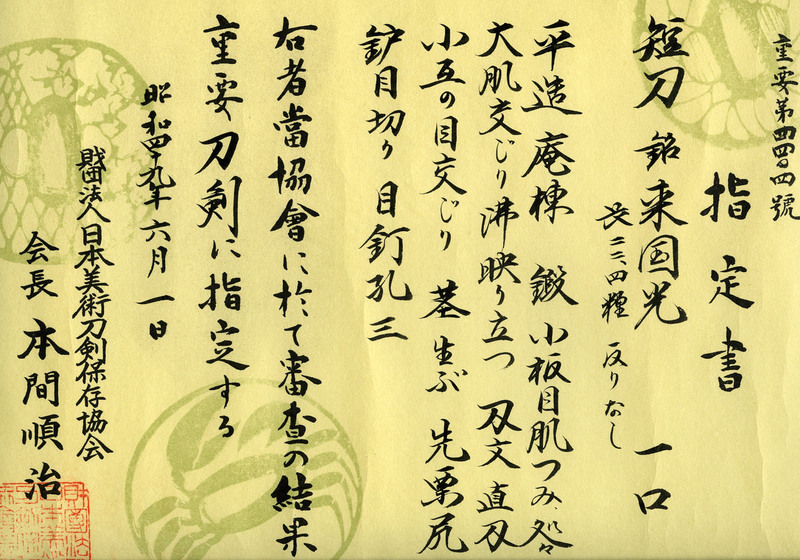 Among the works of Rai Kunitoshi (来国俊), there are also those that were signed by Kunimitsu (daimei), as well as those that were signed and made by Kunimitsu (daisaku-daimei), though with Rai Kunitoshi signatures. 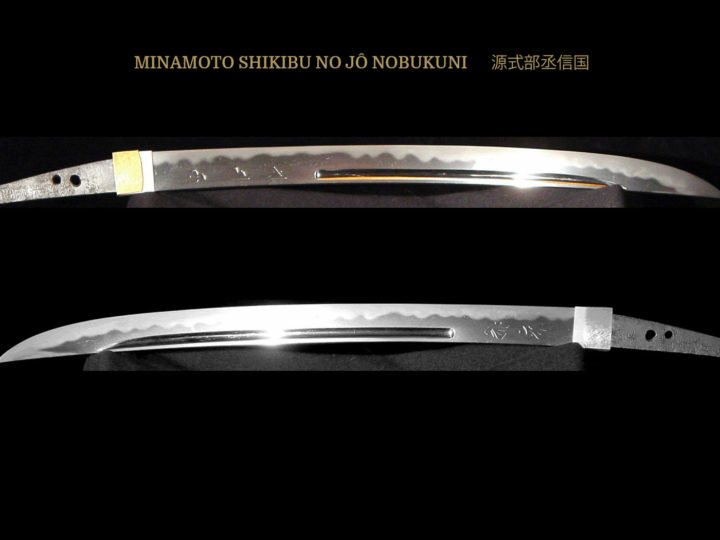 The nakago is ubu, and the condition is also excellent. 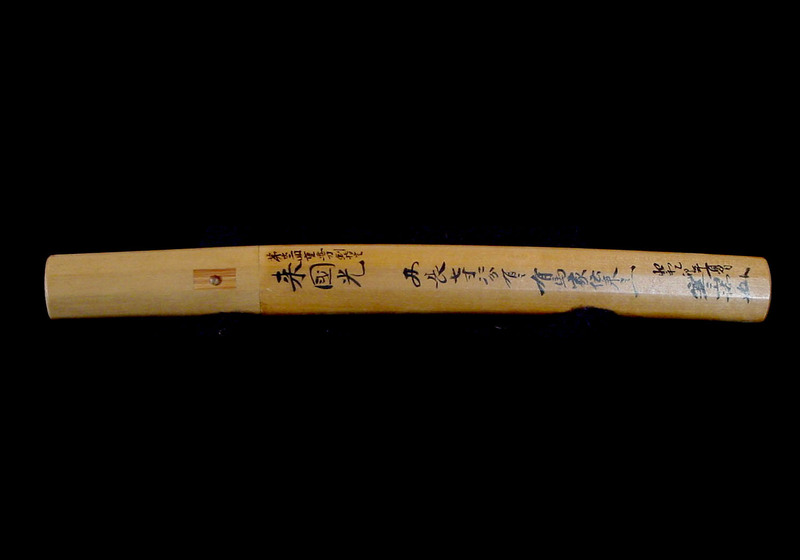 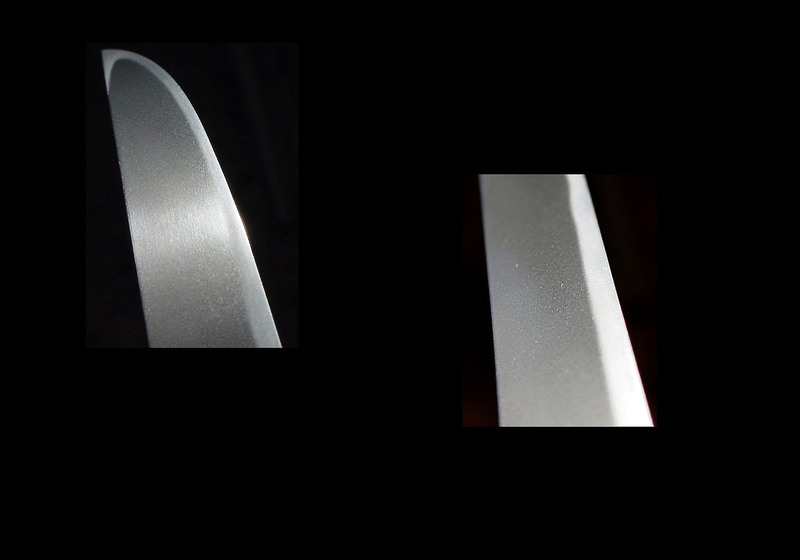 The yasurime are clearly visible, and while we believe that this is an early period work, the characters in the signature are powerful, even now the tagane-makura (ridge left on the edge of the characters from the cut of the chisel) also remains. 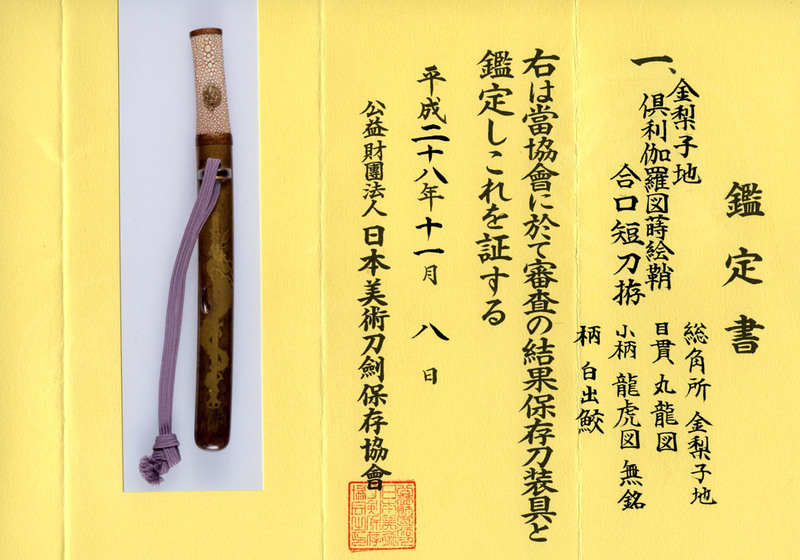 The jigane is very tight ko-itame-hada that is thickly covered in minute ji-nie, and there is chikei activity, making it beautiful and powerfully vivid. 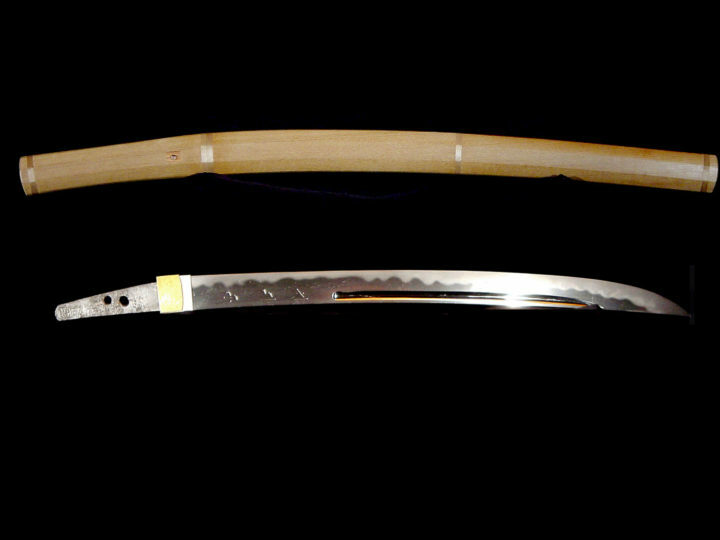 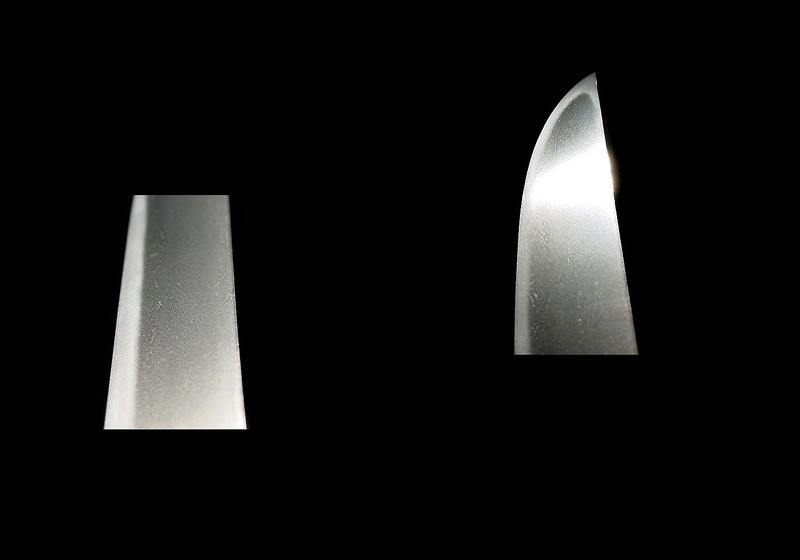 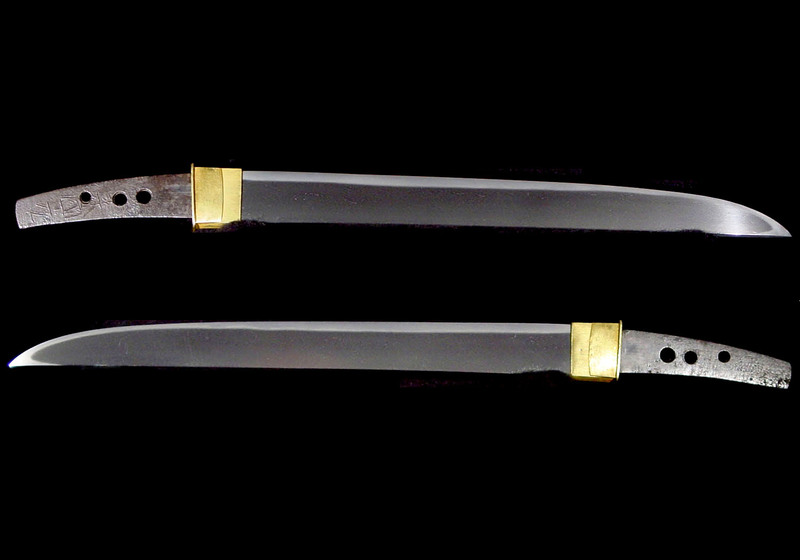 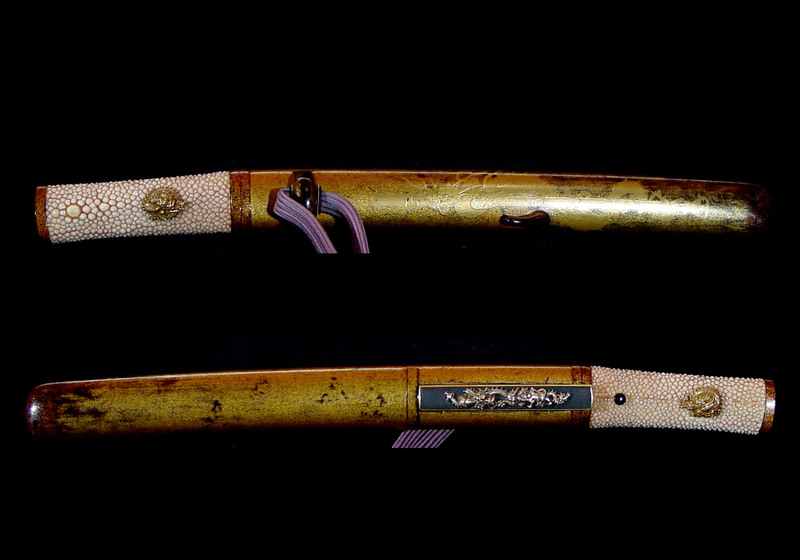 The hamon is tempered in suguha with slight notare, which is the hamon that was handed down from Rai Kunitoshi. 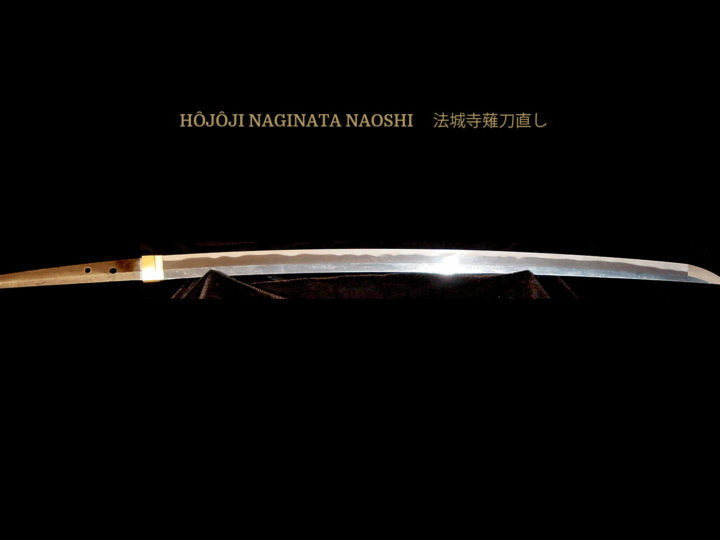 The habuchi is well covered in ko-nie, and the nioiguchi is tight, bright and vivid. 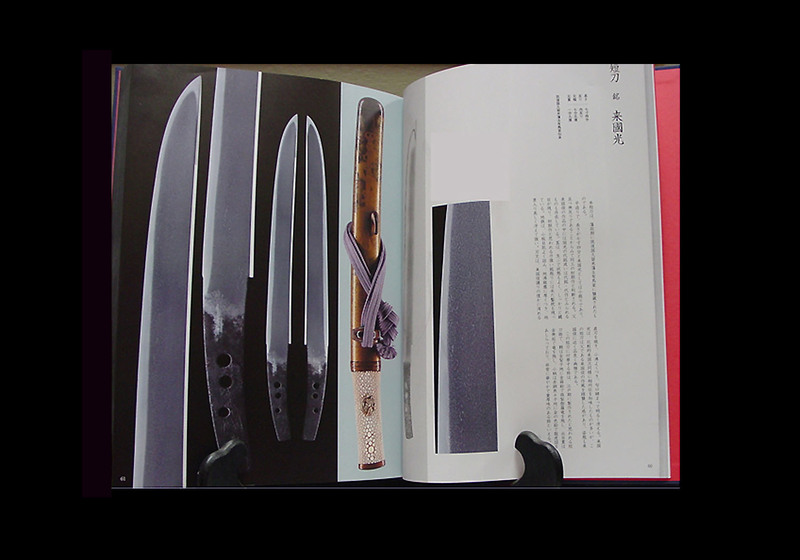 With Rai Kunimitsu, many of his work have a bit of a tinge of the Sôshû-den similar to Rai Kunitsugu (来国次); however, this tantô has the feeling of following his father’s (Rai Kunitoshi’s) style of workmanship. 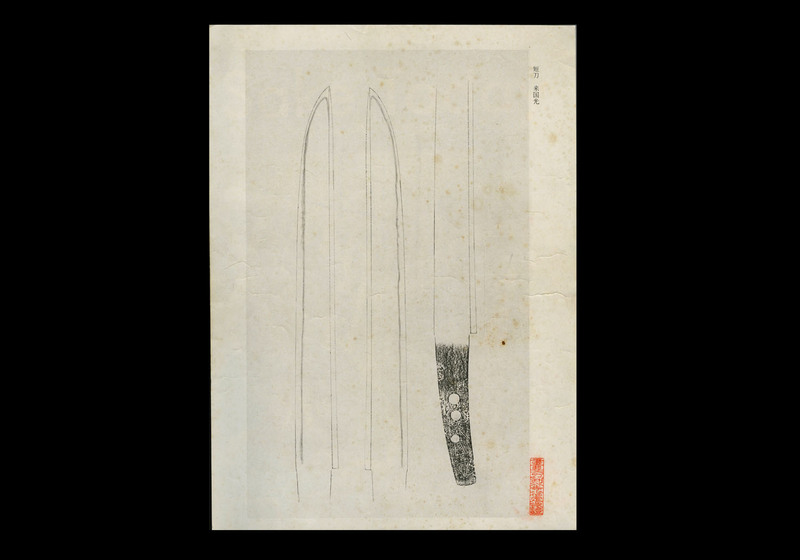 The appearance of the shape is also close to that of Rai Kunitoshi’s elegantly refined construction.